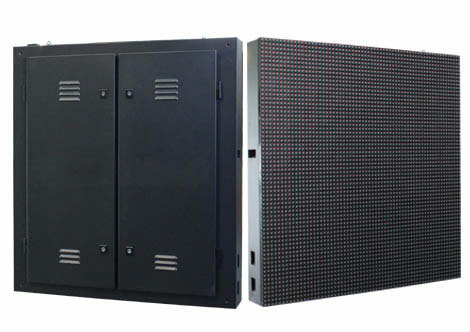 Energy saving LED display is becoming very popular in recently years especially for outdoor LED display products such as P10mm, P12mm, P16mm, etc fixed LED display. With a very large area, LED display always need more power than ordinary appliances because the display is huge and ususlly needs many power supplies in all cabinets. 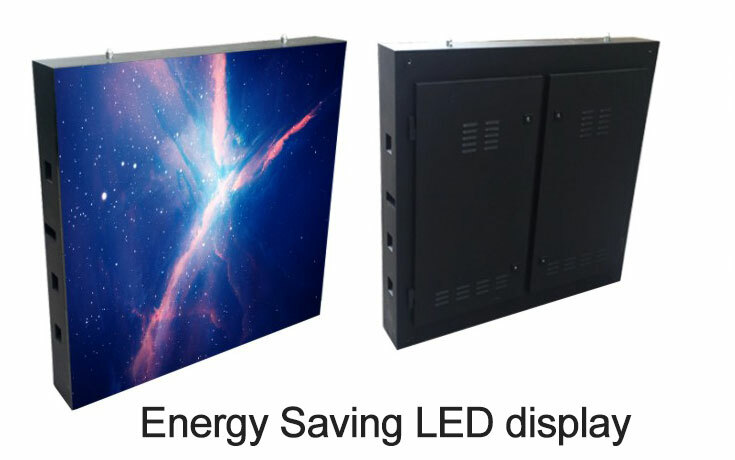 For saving the cost, how to reduce the power consumption of LED display is a very major issue in the display market today. Outdoor LED display, as the new favorite of future outdoor display advertising media, is widely used in finance, taxation, industry and commerce, post and telecommunications, sports, advertising, factories and mines, transportation, education systems, stations, terminals, airports, shopping malls, hospitals, hotels, Banks, securities markets, construction markets, auction houses, industrial enterprise management and other public places. LED display is a product with relatively large power consumption. How to reduce energy consumption and achieve energy saving and environmental protection is a problem that every enterprise must consider. So what performance does the LED display have to achieve real energy saving and environmental protection? First, adjust the brightness of the outdoor led display: LED display itself is using energy-saving materials, but the outdoor LED display area is large, it is relatively power-hungry, so we have to adjust the brightness of the outdoor LED display according to environmental changes. Second, in the structural design method: because the outdoor LED display is outside, it will be affected by environmental factors, such as air humidity, air salt and alkali content, so the outdoor LED display structure design needs to take into account these, in order to save more maintenance Cost, energy saving and consumption reduction. 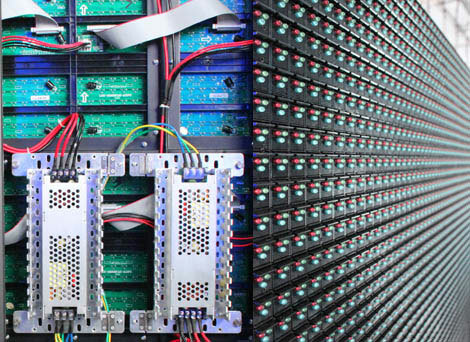 Third, improve led power: This plays an important role in the energy saving of outdoor LED display. 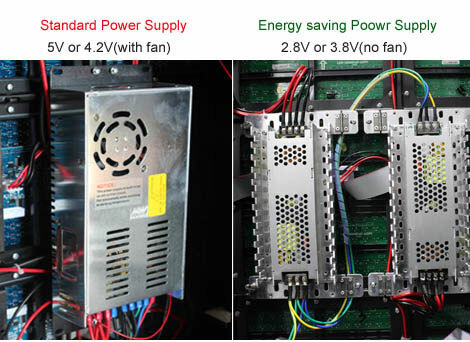 The current outdoor LED display directly uses half-bridge or full-bridge high-efficiency switching power supply, plus the synchronous rectification energy saving effect is significant, giving the drive constant In the state of the flow, the power supply voltage is reduced as much as possible, and the power is separately supplied through the red, green and blue dies to achieve better energy saving effects. UNIT LED outdoor energy saving LED display with the energy-saving efficiency reached up more than 40% and the cost of power supply reached more than 35%. let’s take P16mm RGB LED display as the example. With UNIT unique PCB techology and saving LED parts. Power consumption can save up 40%; and the brightness of LED display keep the same. the brgitness can reach up 7500cd. 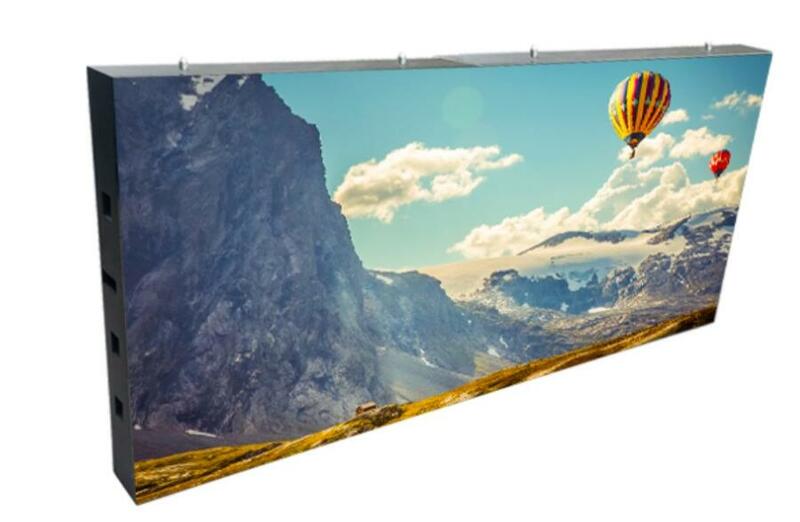 high brightness to meet outdoor LED display advertising need. UNIT use double circuit 2.8V & 3.8V for LED display Modules and LED display Control system to reduce electromagnetic interference. which is unlike the 5v or 4.2v standard power supply. How much money you save In Two Years? Result: Save $23360 In Two years on electricity cost.